Water hardness refers to the quantity of minerals, specifically calcium and magnesium, that are dissolved in fresh water. Many municipalities, households, and businesses use groundwater as their water source, and groundwater dissolves small amounts of minerals as it moves through an aquifer. Water is described as "hard" if it contains a notable quantity of these minerals. 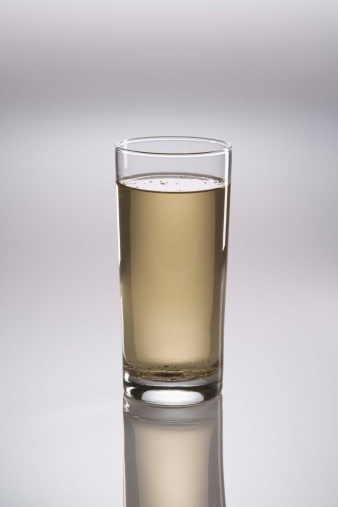 "Soft" water is the term used to describe water that lacks these minerals or has had them removed by a water softener. Calcium, magnesium and other minerals don't pose a health problem—in fact, they are beneficial, supplying some of our bodies' mineral needs. So the problem with hard water is the residue it leaves behind. When washing with soap, the residue becomes soap scum in sinks, showers, and bathtubs. If your water is hard, you'll need to use more detergent to clean clothes and dishes. 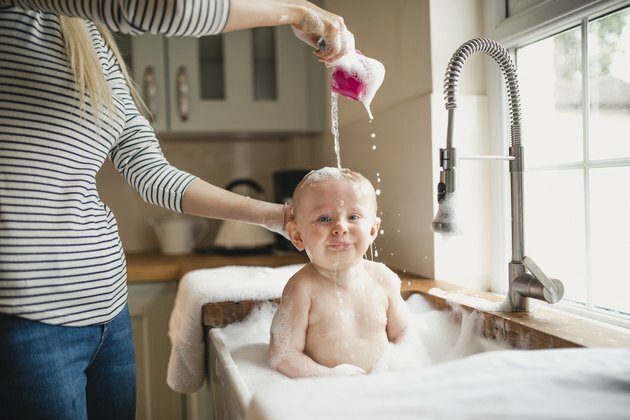 Furthermore, hard water creates a buildup of calcium carbonate, known as scale, in water pipes, water heaters, dishwashers, clothes washers, and even coffee makers. The crusty residue also shows up around faucets, shower heads, and drains. This scale reduces the life of appliances and lowers the efficiency of water heaters and water pipes. You might even notice that your skin feels itchy and dry from bathing or showering regularly in hard water. It's easy to take water for granted when we simply turn on the tap for clean water. However, the detrimental effects of hard water show up over time. Note that a water softener performs a different function than a water purifier or filter that removes contaminants, such as pesticides and mercury, from drinking water. A water softener only removes calcium and magnesium salts; these minerals are natural and safe to drink. All municipalities in the United States are required to supply their citizens with an annual Consumer Confidence Report about their drinking water as required by the Safe Drinking Water Act. Some municipalities include a measure of water hardness to help people decide whether they should consider purchasing a water softener. If your municipality doesn't provide that information, or if you obtain water from a private well, you can purchase a simple, inexpensive test kit from a home improvement store. Water hardness is measured in grains per gallon (gpg), parts per million (ppm), or milligrams per liter (mg/l). Typically, you'll begin to notice the effects of hard water around 7 gpg, and the average water hardness in the United States is 13 gpg. Ion exchange. The softener exchanges the ions in the water with sodium or potassium ions; however, it is not recommended for drinking water due to the fact that it introduces higher sodium levels. (Plumbers can bypass the water softener with a cold water line that runs to the kitchen sink for drinking and cooking.) This is the most common type of water softener installed in homes. Salt free. This option conditions water by using a filter to remove calcium; however, it's not recommended for very hard water. Reverse osmosis. With this type of softener, pressure moves water through a semipermeable membrane that removes up to 98 percent of water impurities. The unit does not use electricity; however, it does use more water than other softeners to produce a gallon of usable water. Magnetic. Magnets in or around water pipes create a magnetic field that alters the water; however, water returns to a hard sate within 48 hours of leaving the magnetic field. Soft water is gentler on skin and hair because soap lathers better and rinses away without leaving a residue. The water softener industry has spent considerable effort at marketing their devices, resulting in some consumers spending money on water softeners when the mineral level of their water doesn't really warrant it. This has led to some skepticism regarding the industry and the need for water softeners. Savvy consumers are well advised to first have their water evaluated for mineral hardness before investing in a water softener. For those who do have measurably hard water, a water softener can be a good investment. Also be aware that some consumers dislike the slippery "feel" of softened water, especially for bathing and showering. Here are other some common questions consumers have about water softeners. Will a water softener make my water taste salty? A__n ionic exchange system does add sodium to the water, though this is not the same as adding salt. Softened water does not taste salty, but people with hypertension or who are on low-sodium dietary restrictions should not drink softened water. Will a water softener remove beneficial minerals from my water? Yes, these systems remove calcium and magnesium. However, most people get enough of these minerals through other dietary sources. Is a water softener expensive to operate? Typically, it costs less than $10 a year to pay for the electricity to run a water softener, and you'll need to purchase six to eight bags of water softener salt pellets per year. The process of softening water can use up to 10,000 gallons of water per year.